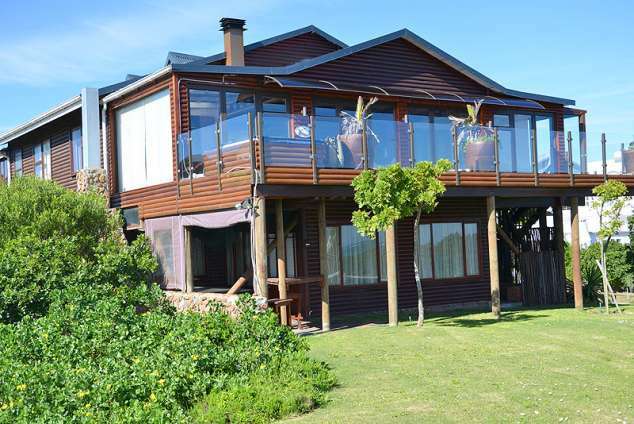 Oysterbay Sea kaya - Oyster Bay Accommodation. Please note that only the ground floor unit is is available for holiday rental. Oyster Bay is a quiet, peaceful town on the edge of the Tsitsikamma coast with wide stretches of beach which gives a feeling of complete relaxation. The town is 110km west of Port Elizabeth. Days can be spent relaxing in the sun, swimming, fishing, dune surfing, diving or walking along the uninterrupted beach. 5 minute walk to main beach. Three bedroom - one queen bed (en-suite), one double bed and one with single double bunker bed (sleeps 2). Bedding and towels supplied (bring own beach towels). Large open plan kitchen living area with magnificent sea- and mountain views. TV, Radio and decoder (bring own DStv card). From Port Elizabeth drive 90km west to Humansdorp, turn off to Cape St. Francis and take the turn-off to your right to Oyster Bay. Follow the dirt road for 15km to Oyster Bay. 20127 page views since 05 Oct, 2007. Last updated on 17 Nov, 2017.